Fultz, donning a Philadelphia cap as he arrived at the team's practice facility, visited the 76ers in a hastily arranged get-to-know-you session, with the workout and meeting with team officials on his itinerary. That visit was essentially the final hurdle to clear before Boston and Philadelphia could decide to actually consummate the trade. 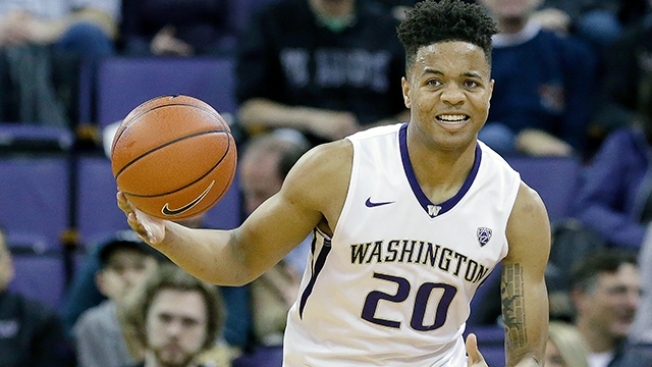 Fultz's rise to stardom has been rapid. In 2014, he was playing junior varsity basketball in high school. Barely three years later, he's almost certainly going to become the No. 1 pick in the NBA draft, and if he gets to start his pro career by calling Philadelphia his new home, he'll be living roughly a 2 1/2-hour drive from his hometown of Upper Marlboro, Maryland. The 76ers have a top-three pick for the fourth straight year: No. 3 Joel Embiid in 2014, No. 3 Jahlil Okafor in 2015 and Simmons in 2016. But with Fultz, Philadelphia, which has asked its fans to endure some very dismal stretches and "Trust The Process" for the past few years, would likely expect to turn a real corner toward respectability again. Embiid posted a photo on Saturday of he and Saric standing in front of a locker, already bearing Fultz's name.